Each loaf is individually hand crafted & baked fresh to order in our small Auckland based kitchen by our dedicated team. 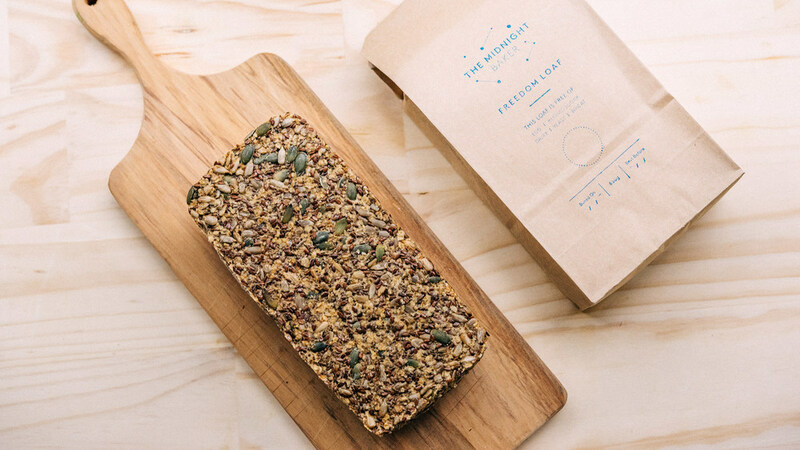 Packed full of seeds & psyllium husks, the Freedom Loaf is high in protein, fibre & good fats. Most ingredients are in their whole natural form so you're getting the greatest amount of nutrition, flavour & goodness. Where possible we use organic ingredients. We leave our seed loaves to soak & set before baking which makes for a bread that is easier to digest and kinder on your gut. The psyllium husks act as 'natures broom' and help to stimulate sluggish digestion and aid natural detoxification of the body. There are no unnecessary additives or preservatives in our loaves. No non descript food codes. Just good quality ingredients. To purchase, order online, visit us at our cafe at 218 Dominion Road, Mt Eden, Auckland, or visit one of our stockists. * The Buckwheat version is Gluten Free but the Natural version contains Oats. Please see the FAQ section for more information on Gluten and Oats.